It’s recommended by the American Dental Association that adults see a dentist for general and preventive dentistry appointments every six months. 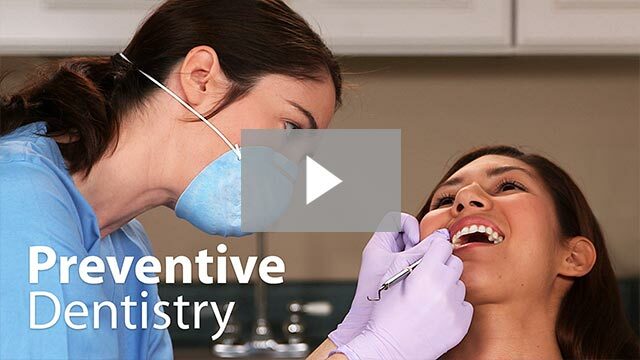 These examinations provide you and your dental team a better chance of finding areas of decay or locating other dental problems before they develop into something more serious. Dr. Lucian Narita has the experience necessary to help you effectively maintain and even improve your overall oral health. Please call our Allen office today to schedule a general and preventive dentistry appointment with Dr. Narita. Even patients who brush and floss diligently every day can fall victim to troubling dental concerns that may go unnoticed by untrained eyes. That’s why attending regular dental checkups and cleanings with a trusted dentist like Dr. Narita is so important. During your visit, our team will comprehensively review every aspect of your oral health, including the surfaces of each tooth, the gum tissue, the jaw joints, the bite, and any existing restorative work. By fully understanding your current oral health needs, we can create a plan of action that treats any current problems in their earliest stages. Routine cleanings are also important because they allow our talented hygienists to get rid of stubborn, decay-causing plaque and tartar that may be accumulating on the teeth and gums. We can also eliminate minor stains, provide helpful tips for brushing and flossing properly, and leave your whole mouth feeling nicely refreshed. Keeping the deep grooves on your premolars and molars (back teeth) completely clean be a challenge, especially for younger patients who are still learning how to brush and floss properly. Thankfully, dental sealants can offer people of all ages some quick and effective protection against cavities in these tricky areas. Our team will apply the tough plastic sealant directly to the tooth; the process only takes a single appointment, and it’s pain-free. Once in place, the sealant will block out decay-causing food particles and bacteria, helping patients maintain a healthier smile overall. Bruxism (more commonly referred to as “teeth grinding”) is a very common condition against patients of all ages, particularly adults who experience a lot of daily stress. What’s worse is that this “bad habit” is more likely to occur while you sleep, which leaves many people unaware of what’s causing their jaw pain, constant headaches, worn-down teeth, and other symptoms. Dr. Narita will carefully inspect your smile for any signs of bruxism during regular dental checkups, and if we locate concerning signs, a custom nightguard from our practice can help cushion teeth and minimize damaging contact. Another important oral appliance patients should keep in mind is sportsguards. Your smile is at risk when participating in any sport where physical contact (either with other players or hard surfaces) is a possibility, and our Amazing Smile team wants to help you protect it. Instead of grabbing a “one-size-fits-all” appliance at the local sports store, consider a superior, custom-made product from Dr. Narita for greater comfort and stability. Oral cancer is a serious threat to the wellbeing of our patients, and one that often goes unnoticed until it’s too late. At Amazing Smiles, Dr. Narita has made oral cancer screenings an essential part of every checkup. Better yet, he utilizes OralID, a proven technology that reveals potentially cancerous and precancerous cells with fluorescence. By identifying these dangerous areas within the mouth as early as possible, the chances of a successful recovery are greatly increased. Fluoride is a natural mineral that’s regularly added to municipal water supplies, and studies have shown that it gets along extraordinarily well with your tooth enamel. In fact, patients who regularly drink fluoridated water have been shown to have stronger, less cavity-prone teeth on average than their counterparts. If our team determines that you or your children aren’t receiving enough fluoride on a daily basis, we may recommend additional treatments so that you can all enjoy the benefits as well. Gum disease (also known as periodontal disease) is one of the most common health problems in the world, not to mention the leading cause of tooth loss among adults in the United States. That’s why our Allen team provides periodontal screenings at every checkup, as well as in-depth cleanings (also known as scaling and root planing) if an infection is found. During this procedure, we’ll remove bacteria from underneath the gum line and smooth the rough surfaces of tooth roots, which can be magnets for plaque accumulation. Please contact us today to schedule a general and preventive dentistry appointment. Dr. Narita sees patients from Allen, McKinney, Lucas, Fairview, Plano, and nearby Texas cities. If this will be your initial trip to our practice, please take a moment to review the information on the new patient page. Amazing Smiles can also perform wisdom tooth extractions when you or a family member needs it.